I am Fellowship trained in Paediatric Orthopaedics , Sports Injuries & Limb Deformity and Scoliosis Surgery at renowned Institutions. National Board of Examinations, New Delhi, India awarded me the prestigious Prof. Balu Sankaran National Gold Medal in Orthopaedic Surgery. Paediatric Orthopaedics is a speciality of orthopedics that has a bewildering range of problems right from birth to adulthood. A Child is not a small adult does the dictum and hence treating these children require special training, experience and care. Sub-specialisation has enabled us to offer our best to these children and improve their condition. After post-graduation, I was trained in Paediatric Orthopaedics, Spine and Scoliosis Surgery by Prof. K. Sriram. I trained in Sports Inuries and Arthroscopy under Dr. David V. Rajan at Ortho One Orthopedics Speciality Centre and there after completed Clinical Fellowships in Paediatric Orthopaedics at National University Hospital, Singapore where I worked in the Department that was renowned for Cartilage surgeries, Patella Instability Surgeries, High Tibial Osteotomies and Sports Injuries in Children. I also have a further focused Fellowship in Limb Deformity Correction & Scoliosis Surgery at Korea University. My training here was focused on Paediatric Orthopaedic pathologies like limb deficiencies, skeletal dysplasia, drawfisms, achondroplasia and other rare paediatric orthopaedic disorders. 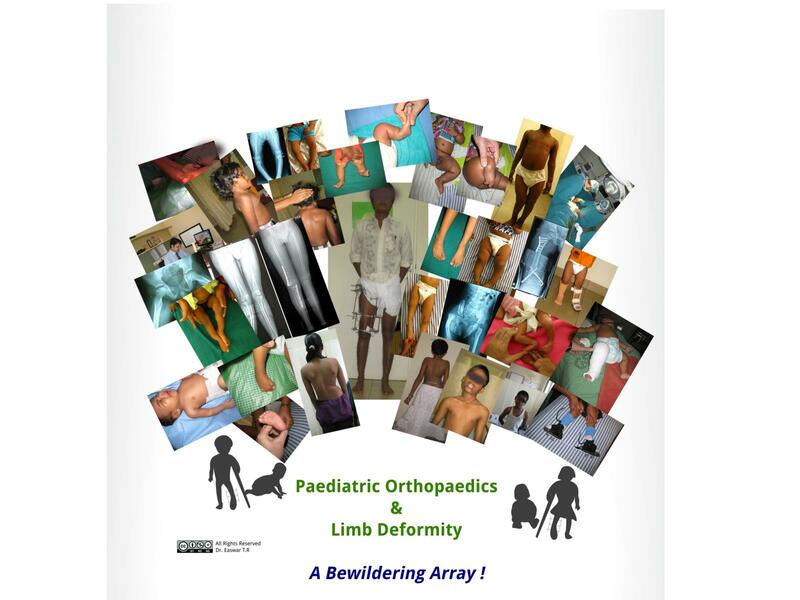 Limb deformity correction, limb lengthening in such challenging situations with Ilizarov Fixator, Monorail, complex spine deformity correction in neuromuscular scoliosis, Idopathic scoliosis etc was the emphasis of the fellowship here. This supplemented the Observership at Alfred Dupont Hospital for Children, Wilmington, Delaware, USA where I travelled to observe the Cerebral Palsy and Skeletal DysplasiaI work by Dr. Freeman Miller and Dr. William McKenzie. I visited Schon Klink in Munich, Germany to train in Minimally invasive Spine surgery and Spinal Microsurgery. National University Hospital of Singapore has awarded me their Honorary Fellowship in Paediatric Orthopaedics. I served a Member of the Editorial Board and am a reviewer for the Indian Journal of Orthopaedics and I am a Member of the Editorial Board of European Journal of Spine. I have several peer review research publications in International Journals covering Pediatric Orthopedics, Sports Injuries, Spine Surgery and Limb Deformity Correction. I have presented my research at Scoliosis Research Society -COA meeting. I am a Member of the National Academy of Medical Sciences, AO Spine Asia Pacific, SICOT, Paediatric Orthopaedic Society of India and World Orthopaedic Concern and have been invited for lectures on Pediatric Orthopedics at various meetings.